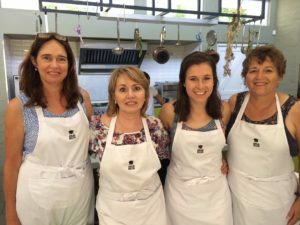 African Relish recreational cooking school sources some of the area’s best local and seasonal produce for our classes and we are happy to introduce you to these producers and creators. 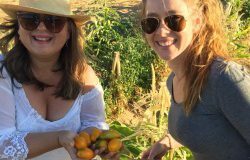 Whether it is tasty artisan breads and pastries, gingerbeer, vetkoek and roosterkoek, pickled olives and oil, figs, cheeses, wines and witblits, biltong and charcuterie, you are in for a charming tour of the towns’ food and culture. 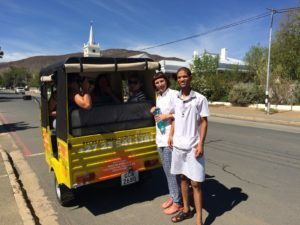 Take the option of a stroll along with a drive in the African Relish Tuk Tuk or a leisurely cycle option; we will accompany you on this fun and tasty tour. Produce also on sale at various food suppliers at good prices. Please bring cash along. 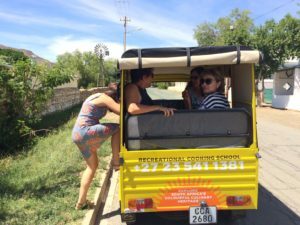 Included: transport to food suppliers in town, light meal, all tastings and food experiences. What to bring: basket or bag, water bottle, hat, sunscreen, comfortable outdoor clothing and shoes, cash. Min 2, Max 4 persons. 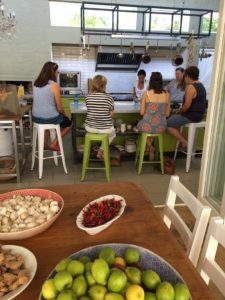 For larger groups – option to cycle with Chef Camilla. Bicycle rental cost extra. Tours only available in the morning from 08:00 till 12:00 and must be pre-booked 2 days in advance. Tours not available on Sundays and Mondays. 08:30 Arrive at African Relish. Meet the team, coffee and rusks. Samoosa pur pastry demo. Punjabi filling demo. Hands-on folding session. 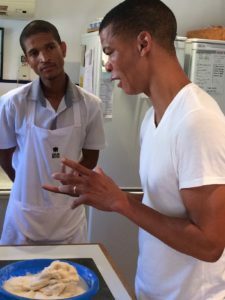 09:15 Bread demo at The Olive Branch with Prince Albert Kokkedoor, Hendry Olivier. Bread will be served with lunch at African Relish. 09:45 Meet farmer Gay at her Gay’s Guernsey Dairy for cheese talk and tasting. Also meet butcher Eric Snijders for biltong and droëwors tasting. 10:15 Visit Dr Pete’s veggie patch. We will pick produce for lunch. sharpening knives. Knives to purchase on order. 11:15 Historical Museum tour with Lydia Barrella and witblits talk and tasting. Dr Pete’s Garden and Gay’s Dairy. Drinks for your own account. ***NOTE: transport to this last leg of the tour is for your own account. 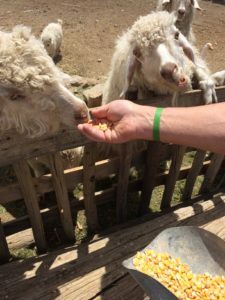 You could choose to spend more time in town, we will then arrange arrival time at these farms for a little later.